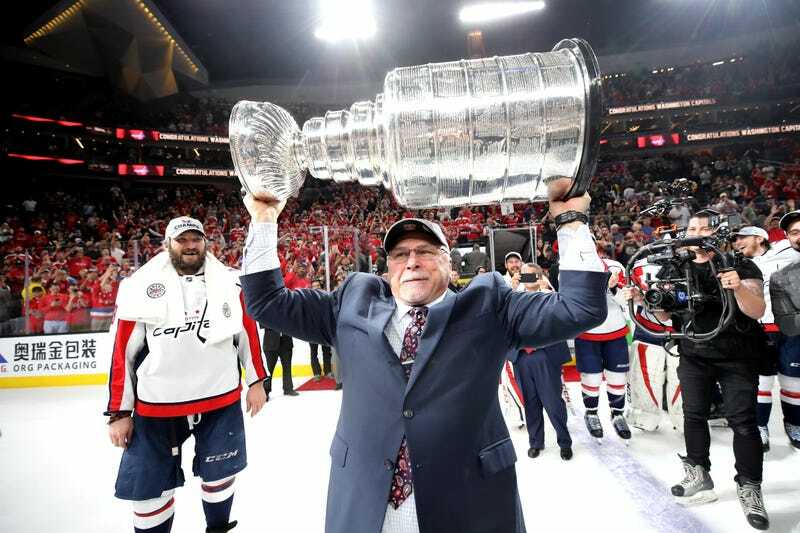 In news that comes as a pretty huge surprise, Washington Capitals head coach Barry Trotz is resigning—not re-signing, but resigning—just 11 days after winning the Stanley Cup. He’s apparently got two pretty good reasons. Trotz coached the Capitals to the league’s best record over the four seasons he spent in D.C. 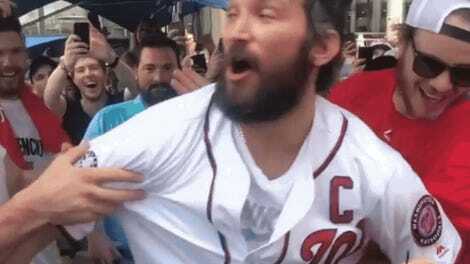 So he was understandably a little annoyed that the Caps did not extend his contract last summer, instead letting him coach out this year as a lame duck. Now we know! Some of it, at least. Trotz’s contract contained an automatic two-year extension for winning the Cup, but the salary that went with it was apparently not so good. Trotz wanted more money than the Capitals were willing to give him, and I would guess was still annoyed about the lame-duck thing (he might or might not have made up his mind a while ago), so here we are: Trotz is a free agent. Trotz issued a statement and the Capitals did too, but they’re boilerplate and probably not worth you clicking. Trotz becomes just the fifth head coach in the last 40 years to leave after winning a Stanley Cup, and—presumably—the first to leave for another job since Mike Keenan in 1994. Oh, and the Islanders, under newly hired Lou Lamoriello, are the only team with a coaching vacancy.